When you think of coal, likely the images of production come to mind. In the United States, one may depict the industry as supported by small towns in the Appalachian area, with coal dug and hauled by men who brave mines deep in the earth. Indeed, coal mining is not the cleanest job in the world, but the industry remains one of the most important for as long as the resources are still available. When converted to gas or liquid state, coal is used to produce a type of fuel for producing heat and electricity. Bituminous coal, a dark and hard substance which is more common in the US, is used to create coke for the production of steel. According to the World Coal Institute, among the global coal reserves we have enough resources to last through the next century. According to the World Coal Association, coal provided nearly a third of the planet’s overall energy needs and helped produce almost half of the world’s electricity output. In 2011, over 7,600 metric tons of coal were mined and produced around the world, almost double the production two decades prior. In 2011, China topped the list among the world’s top coal producers, yielding more metric tons than the United States, India, and Australia combined. 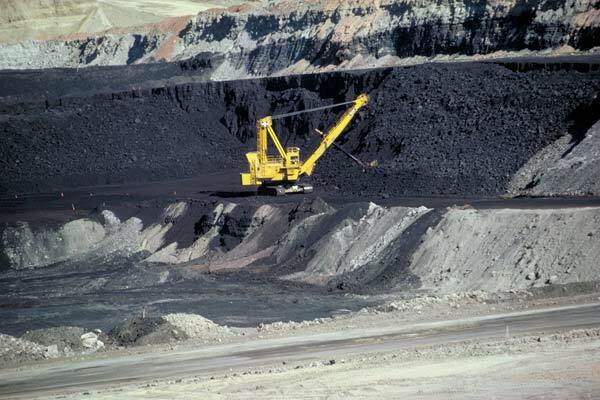 According to the National Mining Association, coal is one of the most inexpensive sources of power. The cost of coal power is approximately half of that of natural gas. Indonesia – 309 metric tons produced in 2011. The Jakarta Globe reports that the country expects to see mining rise by more than five percent next year. Australia – 284 metric tons produced in 2011. Japan received the bulk of Australia’s output. Russia – 124 metric tons produced in 2011. Prime Minister Putin is reported to have pledged to support the industry with an $8 billion grant for development. United States – 97 metric tons produced in 2011. The National Mining Association reports that 136,000 people are employed directly in the industry, which is responsible for creating jobs elsewhere in the country. Colombia – 75 metric tons produced in 2011. Colombia expects to see production rise by nearly twenty percent in the coming year. Two of the largest challenges the coal industry faces concern safety – namely for the environment and the people directly involved in mining and production. Since 2006, fifty-one people were killed in coal mining accidents across the United States, and for many miners who do manage to retire there is the risk of black lung disease, which is contracted after years of inhaling coal dust. The memory of the 2010 Chilean mining accident and subsequent rescue (though the mine in question was not for coal), continues to raise questions of safe working conditions for miners. Another challenge involves making coal a cleaner source of energy. Emissions produced from burning coal risk damage to the environment and may increase global warming effects. While new methods of extracting gas from coal have helped reduce pollution, critics of coal maintain that the resource is not a hundred percent clean. Add to this the fact that coal is not a renewable source of energy, meaning it does not replenish after mining, and the coal industry faces its greatest challenge in what to do when there is nothing left to mine. The EIA reports that the US alone may have enough reserves to last over 200 years – how it is used in the future, however, will determine how long we can make it last.